Visiting the Lake District is something that has been on my bucket list for a long time, and a place I’ve longed to photograph! The views, the diversity, the weather - it all makes for a totally unique and almost overwhelming place to photograph. After setting our alarms for 3.45am, we loaded up the car with our gear and set off on the 20 minute drive from Lake Buttermere, where we were staying, to the foot of Catbells. It was looking clear, with no high cloud in the sky, so we weren’t expecting much colour, but we could see low hanging mist, starting to develop on Derwent water. We could all see what was beginning to develop, but didn’t want to get our hopes up too high, just in case of being disappointed with what we expected! Head torches on, we made our way up in a line, in the pitch black. Visibility was poor due to the mist, which acted as a huge motivator to push ourselves quicker up the mountain! It was a tough hour long hike, worth every second and the aching legs that followed! As we broke through the mist, we were overwhelmed with excitement, as what we had been hoping for in the climb pulled through; we stood triumphantly at the top, looking down at none other than a cloud Inversion which we’ve been informed rarely happens, certainly to the extent we were greeted with! Along with me came my beloved Sony A7R II, as well as two lenses: a 24-70mm F4 Zeiss and a 70-200mm G Sony. I chose these so that I could not only shoot wide, but so I could also really catch the finer details in and amongst the landscapes, whilst being high up! For my Tripod, I needed something sturdy, reliable, but also something that isn’t going to break my back with the weight of it! The Vanguard VEO 2 265CB is a carbon fibre, lightweight tripod, weighing in at 1.3kg, so was the perfect accompaniment on the trip! It managed the terrain well, especially as I attached the spiked feet (which I ended up using for the whole trip!). They gripped onto the terrain faultlessly, meaning I could concentrate on other things, instead of worrying about the stability! This, for me, is an essential for a trip such as this, the spiked feet were absolutely pivotal. I also had my filter bag, consisting of various LEE Filters and a polariser, to help control the scene and the exposure. These pieces formed the basis of my photography kit for the trip! I took this composition earlier on, half an hour before sunrise. You can see the faint orange glow on the horizon, compositionally, I framed up this path that leads your eye through the image, down into the valley below, where Derwent Water is covered in cloud. Settings wise, for this image were 3.2 seconds, F11, ISO 50. I also had a LEE filters, 2 stop hard grad on the sky to bring out a bit more colour. Above is my favourite image. 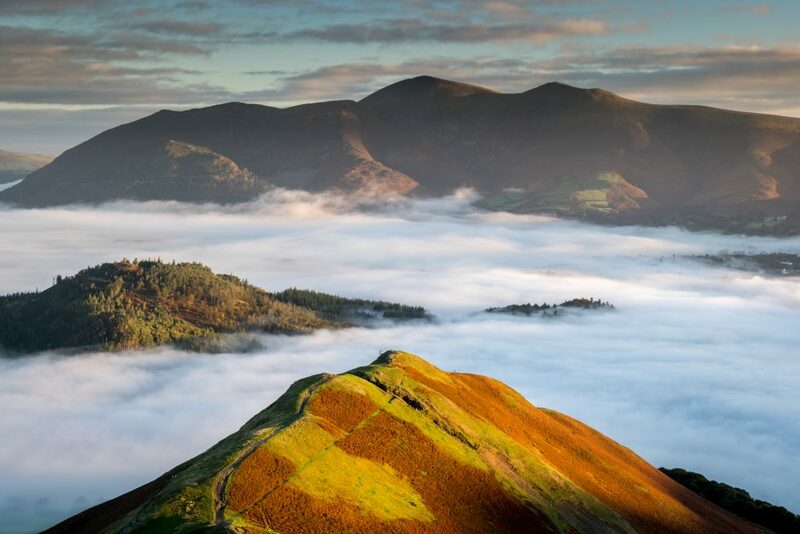 I had a composition in mind walking up Catbells, but the conditions had to be right in order for it to look how I envisioned it in my mind. I think the cloud inversion is a factor that makes this image look unique. This image is a 6 shot, vertical panorama and after levelling up my tripod, all I had to do was to wait for the light to be as I wanted for my composition. 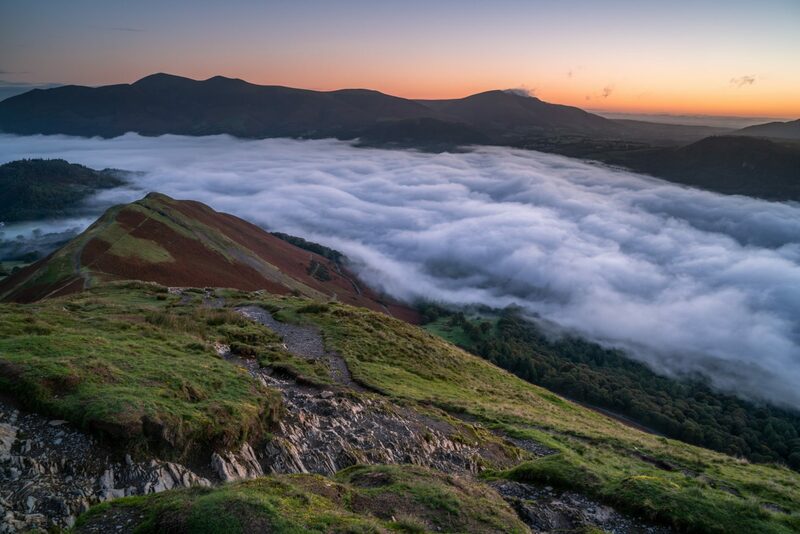 As the sun began to creep over the top of Walla Crag, it kissed the side of the lower parts of Catbells and this is when I began my panorama. This is 6 individual vertical photographs, stitched together in Photoshop, to give a high quality perspective of my view. Ben Kapur is a 25 year old Landscape Photographer from Dorset who grew up in Lyme Regis and shoots up and down the Dorset and Devon Coastline. When he’s not a photographer, he’s a guitarist and spends most of his weekends gigging in a wedding/function band! 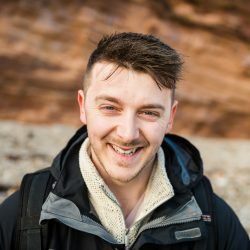 Ben is also a YouTuber who Vlogs his trips (including taking this shot on his trip to the Lake District), to share more information about camera settings, locations and how he gets his images. Ben is one of our new ambassadors and you can see why we were keen to work with Ben if you visit his FACEBOOK, INSTAGRAM and YOUTUBE pages. 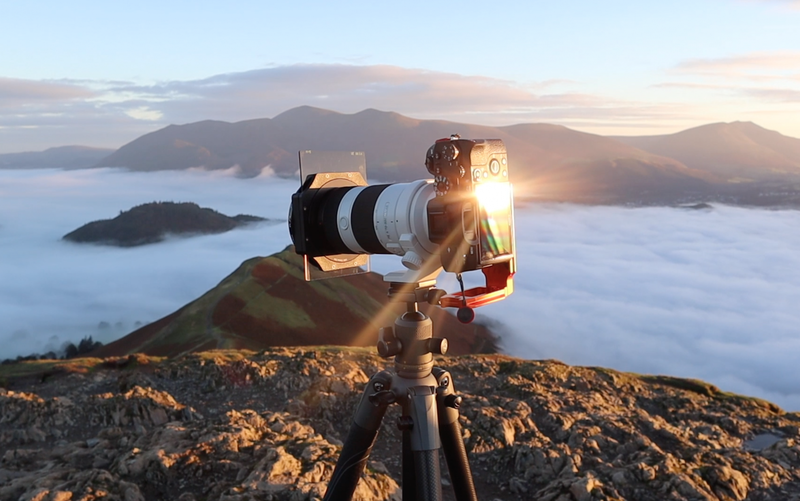 The post Photographing a cloud inversion in the Lake District - By Ben Kapur appeared first on Blog.